Who is going to gain and sustain an advantage in the customer-empowered, competitive markets that are being reshaped by the internet? The message from our study is that those who already excel at managing customer relationships were best equipped to capitalize on the opportunities of the internet. These leaders were able to anticipate earlier how to use the internet to connect with their customers, exploited it faster and implemented the initiative better. Relationship leaders are the 17 percent of firms who judged themselves to have a significant advantage over their rivals in their ability to manage customer relationships. In summary, the internet offers the best opportunities for firms that have the necessary conditions in place. 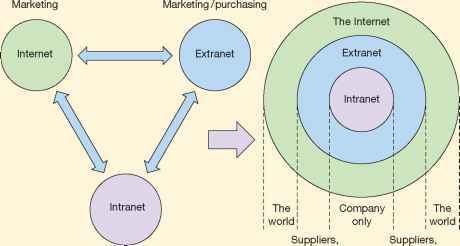 If the culture condones a transactional mind-set and is not equipped to treat different customers differently, the systems and databases are incomplete, incompatible and out-of-date, and the organization is balkanized along hierarchical lines so teams struggle to collaborate, and the incentives don't reward retention, then the internet should deservedly be feared. These transactional firms don't have any strategic degrees of freedom, and the internet means they will lose further control. Conversely, best-of-breed relationship builders like Dell, FedEx, Schwab, Fidelity, Singapore Airlines, L.L. Bean, Recreational Equipment Inc., and Pioneer Hi-Bred Seeds relish the prospects presented by the internet.